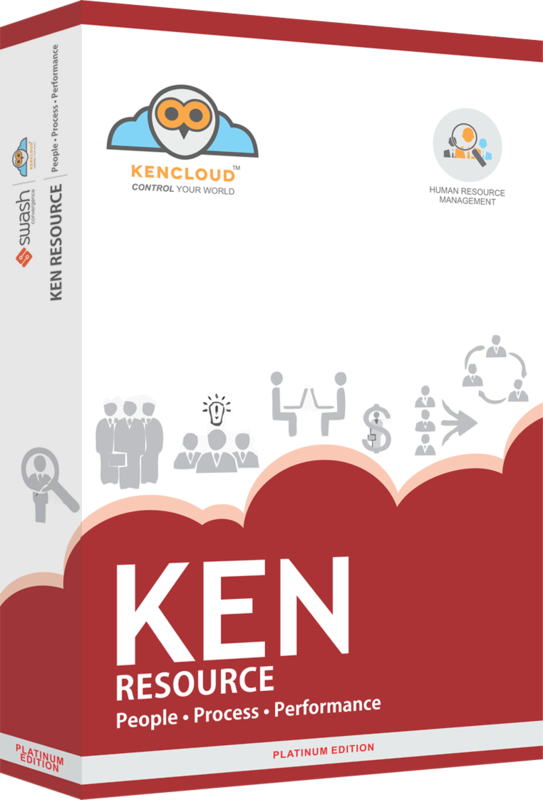 KENResource™ is a human resource management system (HRMS) - an intersection of human resources and information technology through HR software. 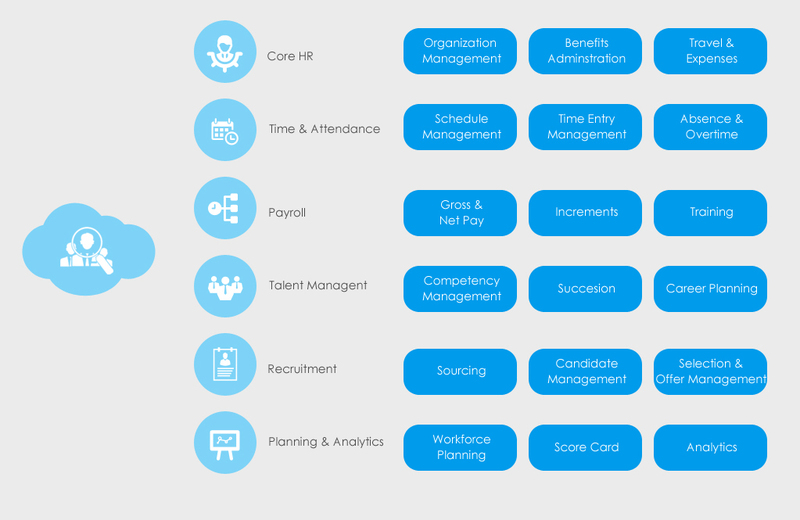 I helps you to plan your HR management cost effectively, as well as to manage and control them without allocating too many resources towards it. KENResource™ improves the quality of HR working fields by reducing errors and has a faster processing time to increase the productivity of the employees and also to measure their efficiency with better standards. It ensures futuristic approach towards effective recruitment management, employee management, payroll management, attendance management, training management, performance management, workflow management, appraisal management, and lot more. The primary function of KENResource™ involves effectively tracking and implementing employee skill, salary, workability, accomplishments and histories inside an organization. KENResource™ has powerful work modules to integrate every aspect of an employee life-cycle, from first of induction to separation. It reduces the workload, time consumption and needed extra staffing requirements for a Human Resource Management System. With essential security measures and added extra benefits, KENResource™ performs as an all-in-one HRMS software, which also has additional cloud based advantages. How does it feel to operate from only a desktop or a web browser? KENResource™ allows you to be synced on all your devices irrelevant to the platform or the device type that you are using. Your access to your resource and planning to recruitment and management as well as your exit is seamlessly managed through our mobility apps specifically designed for your custom need and with relevant branding. Going forward every edition of KENCloud allows API integrations singularity into its web platform for any browser and also at the same time windows 8 or 10 desktop apps. There are verity mobility apps which allows you not only to administer you complete human capital but also interfaces your employees and prospects through different apps like ESS (Employee Self Service), attendance through mobile etc. Easy analyzation of company requirements to hire needed number of employees with required skills for best results. To check the status of organization’s necessities for easy and effective handle of its requirements. Create ads and posts for employee hiring process to fill the different vacant spots or needed extra spots of an organization. Sort, analyze, filter and select appropriate ones from posted resumes by job applies for easy and best selection of applicants. Create filters for easy analyzation of applicant selection process. This will help to sort out applications that do not meet organization’s stipulated criteria. To check efficiency for internal hire and position hikes. Also manage referral applicants sorting their information along with other attachments. Search applications on the basis of organization’s given criteria, sort, display and evaluate applications for better management of interview process. Display applicant’s total interview process from start to end, to offer the most suitable package to candidates. Respond to applicants after the end of selection process. Easy management of offer letters, joining letter, appointment letter and other required steps after an applicant get selected on employment process. For effective management of an organization’s employee hierarchy; from start to bottom with details of their skills, designations and other required information. Ability to deal with an organization’s whole work flow while securing organization data in a dominant manner. Keep all the required employee details for easy contact and management of an employee profile. Store, track, sort and rearrange all the compensation details of employees for easy and timely management of this sector. Specially designed to help manage the attendance and schedule adherence by employees to empower a disciplinary organization environment. Manage leaves of employees with this simplified work module. Create leave policies for employees while setting automated requests for them. Easy distribution of workforce and different tasks according to best suited skills of employees while keeping an errorless track of it. Track every employee’s performance, service quality, behavior and future potential to get a better transparency on employee profile. Simplifies the calculation of employee’s travel and other expenses related to organization work, and pass-out bills according to it. Manage retirement, resignation and termination process of employees with this easy to manage feature. This feature allows depth analysis of staff costs across all the departments of an organization including earnings, bonus, deductions, different tax payments, statutory requirements and other crucial areas. For easy creation and management of employee benefits including retirement services, health insurance, employee compensation, premium employee account management and other needed benefit management fields. It allows employees to put and make changes to their personal information details, which enables them to be more self-sufficient and also maximizes the operational efficiency. This feature gives independency to employees to track their leave applications, remaining yearly leaves and leave policies of HR department. Employees can check their daily attendance records with this module, so that they can manage their disciplinary level to an excellent height. This feature allows employees to check and manage their employee claims for an organization. They will be updated with all recently changed or newly added claim policies with this system. With this feature, employees can request for training periods regarding their work positions in the organization, so that they can work with more efficiency which ultimately leads the organization for better profit margins. This allows employees to refer applicants to HR departments for easy hiring process. It saves a lot of time involved in recruitment process. Employees can check their payroll and benefit management details of the organization through this feature, which allows better acknowledgement and co-ordination between employees and HR department as well as with organization. Human resource tasks are highly regulated and even a minor error can jeopardize high-priority works – resulting in financial loss and legal issues for your organization. But with our human resource management system, completely eliminates human errors associated with your HR department. KENResource™ HR management system is designed to review the work results with your organization rules & regulations that ensures errorless results for HR department managers. Our human resource management system is designed to produce highly detailed work results of employees and organization itself. It has enhanced work modules and tools that helps in speed-up the efforts of human research employees in many ways. The time and effort required to complete HR tasks previously, can be drastically reduced with KENResource™ easy and automated processes. KENResource™ provides different analytic tools to perform analysis, review statistics and various aspects associated with your organization. The analytic tools include in it has the ability to perform calculations with accuracy and speed by collecting and analyzing all the needed data in an effective manner. From data sharing to data access checking, KENResource™ has various security management tools and features that will help you to manage your organization figures while securing critical business data for convenient human resource department management. It also provides disaster recovery features that keeps database backups at a secure cloud environment. This also enables your organization systems for quick recovery in disaster situations. Keeping track of employee information, work standard and other administrative works associated with HR department is a complex work and turns out to be nightmare for organizations where manpower is an issue. By collecting employee data easily and calculating employee performance charts effectively with KENResource™, your HR department will be able to make more quality business decisions for high-standard business performance. Easy creation of reports and presentations. Efficient management of administrative processes of organization. Easy to configure and easy to use with less time consumption. Eliminates the need of maintenance. Easy access to employee information. Convenient management of total recruitment process. Better collaboration between management and employee.